Sarasota recently became the home of Frederic Jean Augé, who is one of the world’s preeminent specialists in the area of botanical preservation. Preserved botanicals are commonly used in the floral and interior design industries. These are actual leaves, flowers, trees and other natural botanical products that have been preserved to last indefinitely. For example, it is becoming increasingly common to see preserved palm trees in offices and shopping malls. To preserve flowers and foliage, there are two methods: the “systemic method” and the “immersion method”. In the systemic method, the botanicals stand in a tray of artificial sap, which is a proprietary formula developed by individual specialists and derived from natural products. The temperature and humidity of the ambient air is controlled to facilitate perspiration. By osmosis, as the plant perspires, it absorbs the artificial sap, thus eventually preserving it. In the immersion method, which is mainly used to preserve flowers, the fresh botanicals are completely immersed in a preserving liquid over a period of time. Eventually, the preserving liquid replaces the natural sap and the flower is preserved. The “science” of preserving botanicals is in developing immersion liquids or artificial saps that can best preserve a particular species. The “art” of the process is choosing the dyes and other methods to make the plant look most natural when the process is done. Mr. Augé has mastered both the science and the art of preserving botanical products and he is working with a local company to develop a manufacturing facility in Sarasota. He already has a production line up and running and is activity engaged in research and development of new products. So, what is the problem? He says that they are getting larger orders than they anticipated and they do yet not have the space and the production capacity to meet the demand. Mr. Augé is looking for an investor to help fund the expansion of the business. With sufficient funding, the business could create 10 or more specialty manufacturing jobs. For foreign investors, it could possibly be a vehicle for qualifying for a business visa. The EB-5 Regional Center Program, which allows investors to qualify for a green card based on an investment of $500,000 in an approved regional center, is set to expire on March 6, 2009. Due to the pending sunset date, many prospective investors are waiting to see whether the program will be extended before making a commitment. Recently, representatives of the Invest in the USA (IIUSA) trade association, headed by Steve Yale-Loehr (an attorney and EB-5 expert) met with Senate and House immigration staffers in Washington, D.C. They received word that another 6-month extension until September 30, 2009 will likely be approved by Congress as part of a new continuing resolution or an omnibus appropriations bill. But, it remains unclear whether Congress will permanently approve the EB-5 regional center program at this time. The USCIS authorizes “premium processing” in certain cases in which the USCIS will adjudicate an application within two weeks for an extra fee of $1,000. 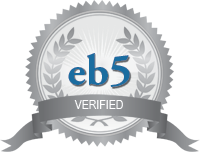 Premium processing has never been available before in the context of EB-5 adjudication, but that may change. In a recent conference call between USCIS, IIUSA and the American Immigration Lawyers Association (AILA), the USCIS reported that it was transferred all adjudication of EB-5 applications to the California Service Center. 10 adjudicators there would be assigned to work on EB-5 cases. They reported that after the transition is complete, the USCIS may consider instituting premium processing. They did not indicate what stages of the application process this would apply to (stage 1: the I-526 petition, stage 2: adjustment of status or consular processing, and/or stage 3: I-829 removal of conditional status). Presumably it would just to the I-526 petition. The USCIS also stated that it was very unlikely that they would allow concurrent submission of stage 1 and stage 2 applications, which is allowed in some other green card categories. Sam Sutton, managing member of the Lake Buena Vista Resort, currently has 500 condo-hotel units and wants to build another 1,300. To finance that, he wants to sell 70 existing condo-hotel units and then attract more investors through the EB-5 Program to finance the construction of a new 152-unit building at the resort. He wants to attract 35 investors to contribute $1 million each to buy 70 units in the existing condo-hotel. The next phase calls for 35 additional investors to contribute $1 million each to build a new 152-unit building. In other words, there will be 70 total slots for investors and each will be required to invest $1 million. Note that not all EB-5 Regional Centers permit an investment of $500,000. This is only allowed if the regional center is located in a “target employment area” (area of high unemployment or a rural area). The Orlando project is not in a targeted employment area, therefore the standard investment of $1 million is required. I recently met up with Brian Dumas, who is a Business Transfer Specialist at Murphy Business Brokers in Sarasota. Brian has been in Sarasota for over 20 years, but is originally from Canada. During the course of his career, he has established, purchased, and sold a number of his own businesses in the U.S. and Canada and has a lot of personal experience to offer. 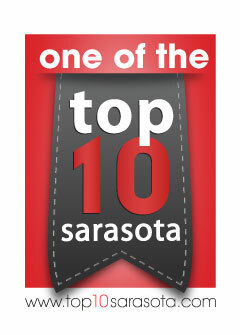 Brian agreed to send me monthly summaries of businesses that are for sale in Sarasota, Charlotte and Manatee Counties. I will be happy to share this information on request. 3. A dive shop in Charlotte with a listing price of $325,000.